Borneo, the third largest island in the world, is shared by the Malaysian states Sabah and Sarawak, the Sultanate of Brunei and Kalimantan of Indonesia. 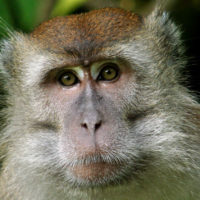 The island is famed for its incredible nature and wildlife. 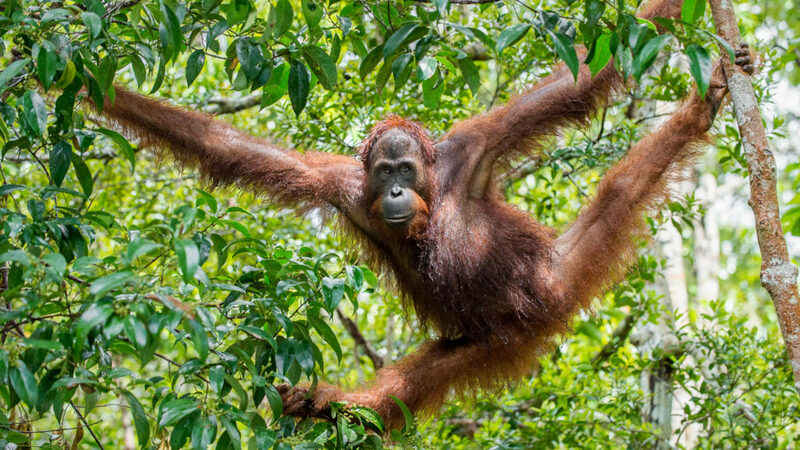 The island’s virgin rain forests shelter an astonishing diversity of animal populations and plant species, colourful tribal cultures and the elusive orang utang. 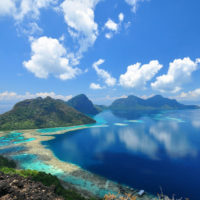 Its waters are inhabited by such a great variety of marine fauna, that it is considered one of the best diving locations on the planet. The island is primarily mountainous and carpeted by rain forest. 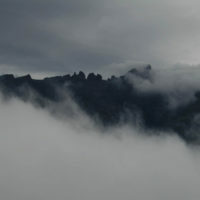 Mount Kinabalu, at more than 4,000 meters, Borneo’s highest peak, is often covered in clouds. 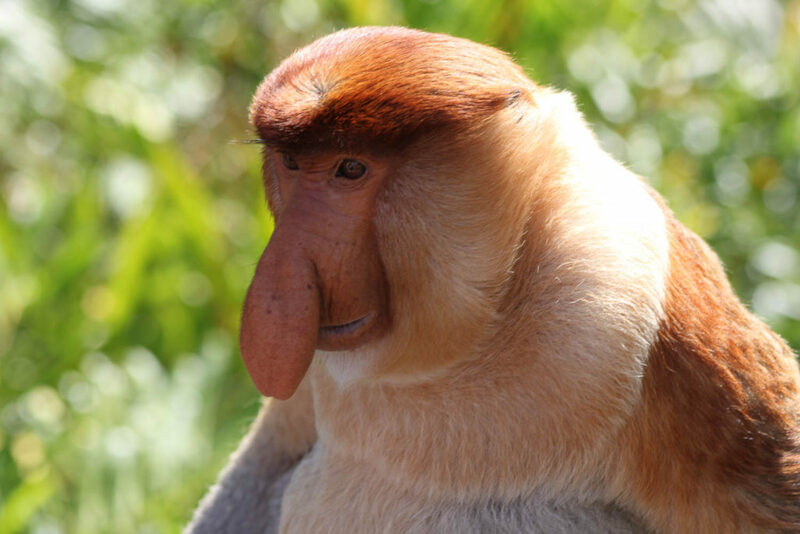 Many of its wild, sometimes unusual animals are unique to the island, such as the proboscis monkey, the pygmy elephant, the clouded leopard, and the Borneo rhino, and new species are discovered by scientists every year. 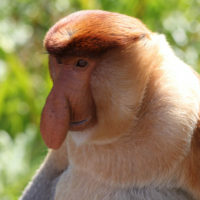 Because of its extreme geographic conditions, much of the island’s interior remains unexplored and for Asian standards, Borneo is still sparsely inhabited. Apart from its natural kaleidoscope, the island is inhabited by a variety of tribes. The indigenous Dayak, with more than 200 ethnic subgroups, are riverine and hill-dwelling people. Each subgroup has its own dialect, customs, laws, territory and culture. In the past the Dayak were feared for their traditional headhunting practices. A boat ride on the navigable waterways in pristine jungle, and encounters with the indigenous tribes living in their traditional villages on the river banks, is an experience to never forget. 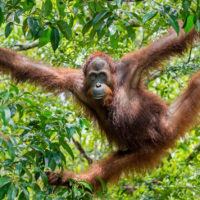 Seeing the endangered orang utang, the “man of the forest”, in its natural habitat will change your view on how we should take care of our beautiful planet. Walking around in the “Garden of Eden” in the Deer Cave is just enlightening. 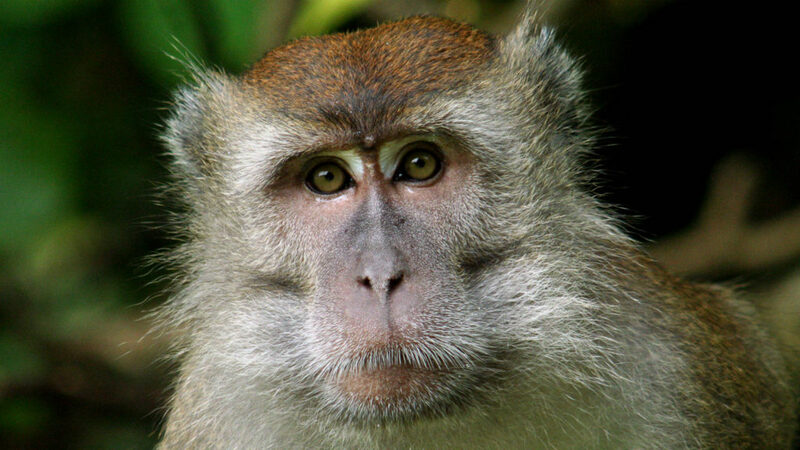 Borneo guarantees the adventure of a lifetime! 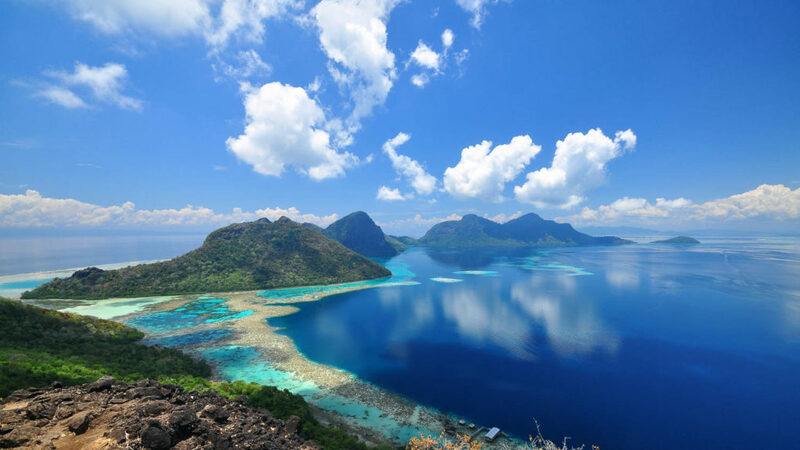 Borneo has an equatorial, tropical climate. It is generally hot, humid and sunny all year round, with high rainfall throughout the year. Weather differences between Sarawak, Sabah, Brunei and Kalimantan are limited. Lowlands temperatures range between 30°C – 35°C during the day and 26°C – 29°C at night, while temperatures in the highlands average around 21°C. Because of year-round high humidity levels, there is no rigid difference between rainy and dry seasons. The official rainy season is November to February. However, showers rarely last the whole day, and the dry season hardly knows any days without rain. 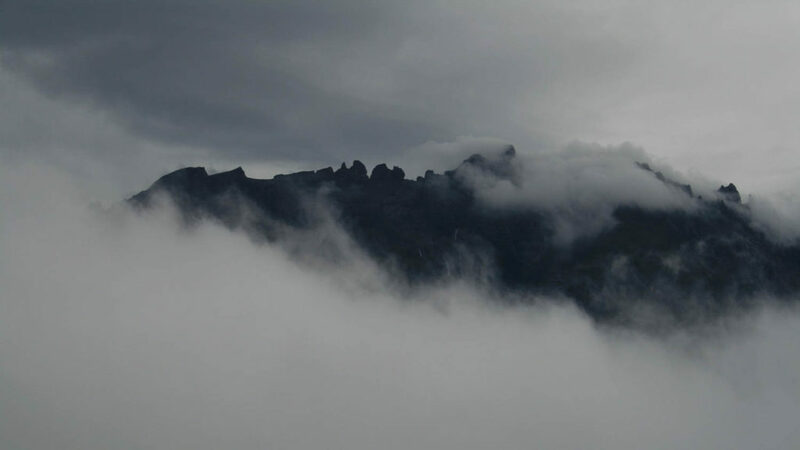 Because of its height, Mount Kinabalu has its own climate. The weather at its higher regions is unpredictable and above 3,500 meters temperatures can drop below freezing level.